Arizona's desert sun can be merciless, but there's a great way to beat the heat in the city of Congress. 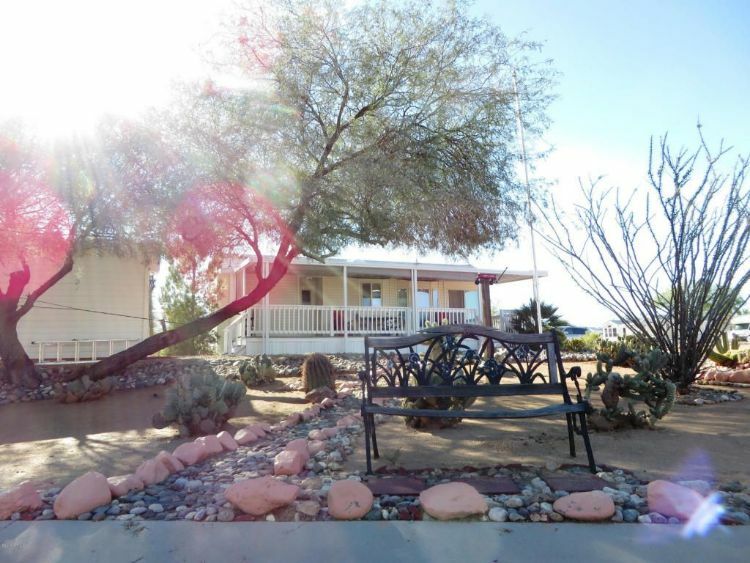 The small community of North Ranch is home to several lovely Southwestern-style park models. 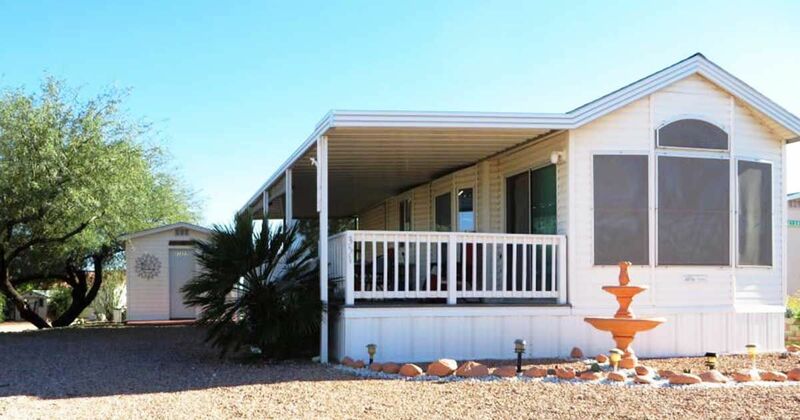 These units come equipped with everything you need for a nice vacation or year-round living. Unit #351 sits quietly on West Shakalo Lane, shaded by large trees and a spacious covered porch. The gravel lawn requires little maintenance other than the occasional raking, and the garden of cacti gets a special boost from the darling rock-lined pathways going through it. When the afternoon sunlight hits the shimmering rooftop, the garden is nothing short of picture perfect. Evenings can be spent gazing out at the expansive desert landscape while sipping on fresh iced tea or your cold beverage of choice. 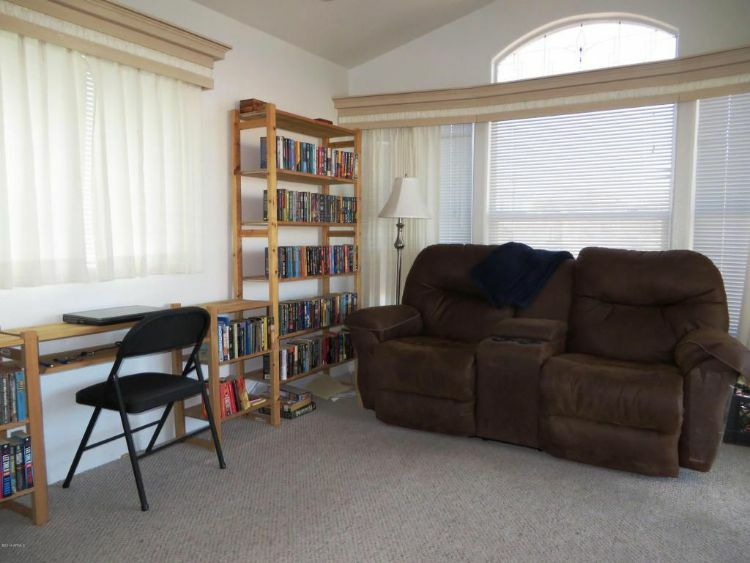 The current owners have foregone the typical living room setup; instead, they've made it into a cozy reading nook for avid bookworms, but you could easily fit a good size flat-screen TV into it. 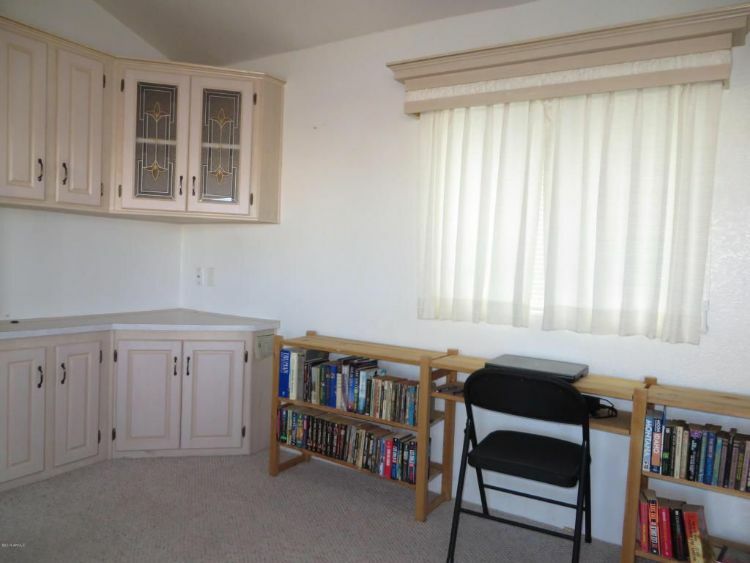 A desk area with bookshelves is perfect for the semi-retired who need a modest workspace. The shelving and cupboards just to the left can function as an entertainment center opposite the sofa. 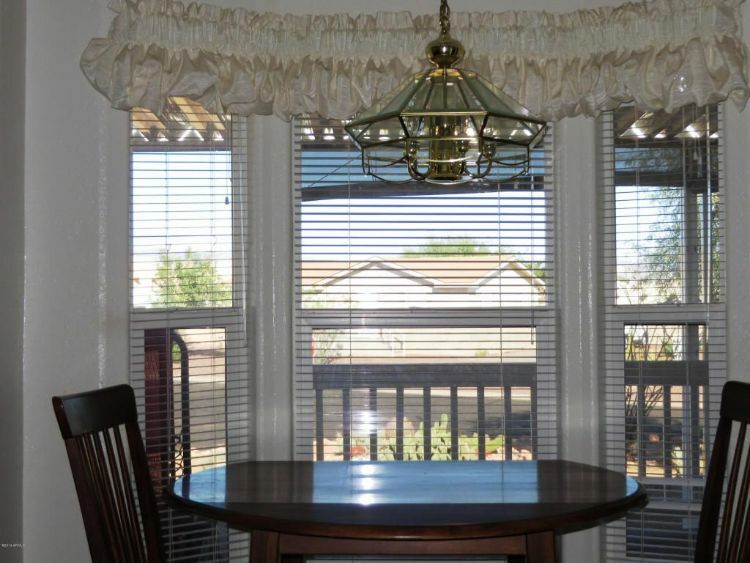 Most park models have only medium windows for the dining area, but this one has a tall set of bay windows for enjoying scenic sunrises. The only thing more refreshing than your morning cup of joe is sipping it while watching the first rays of sunlight peek over the cresting Arizona hills. 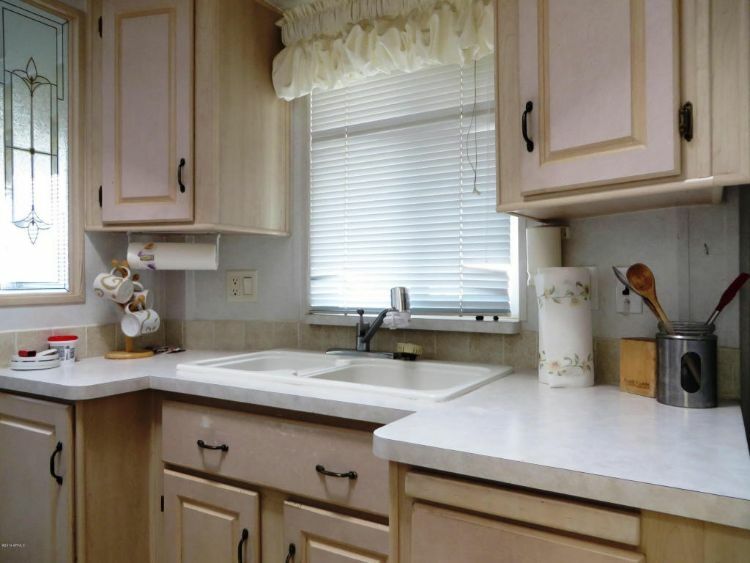 The kitchen is partially cut off from the living room, but it's light and open enough so that you don't feel cramped. 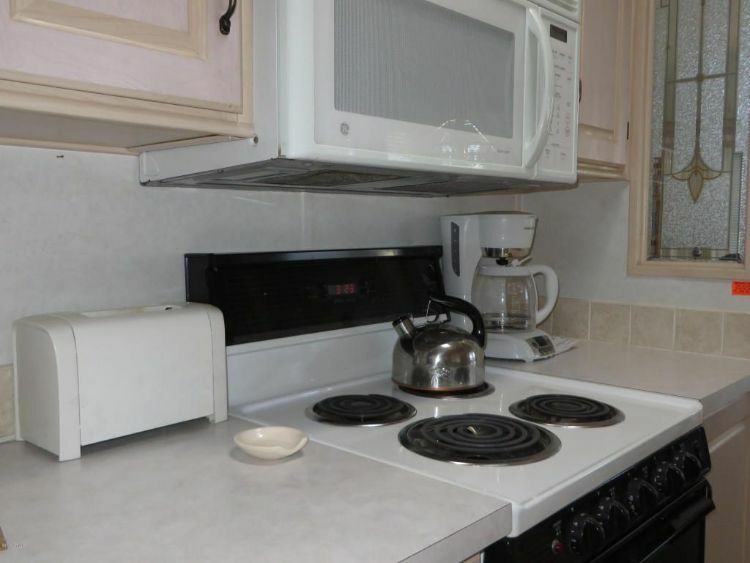 Modern appliances in brilliant white emphasize the clean lines and stained glass windows nearby. Just off to the side of the food preparation area is a deep double sink with plenty of counter space for washing and drying. 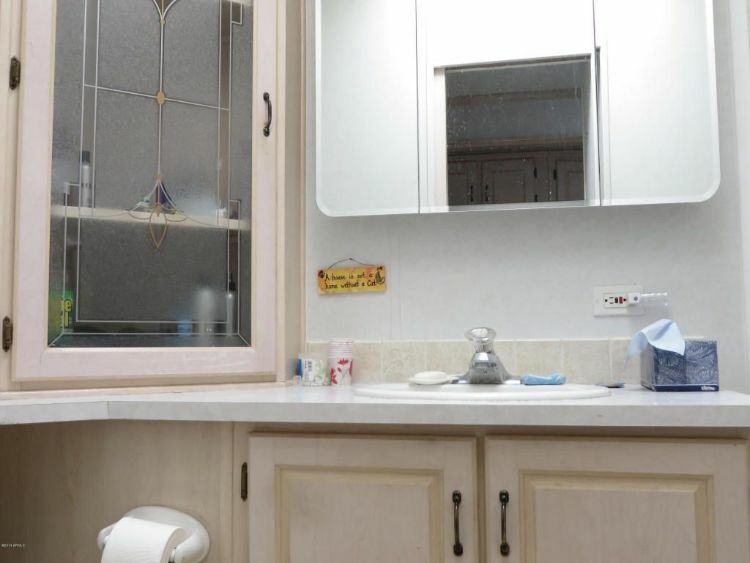 The bathroom fits a nice broad sink and counter space, as well as a shower/tub combo with sliding doors. 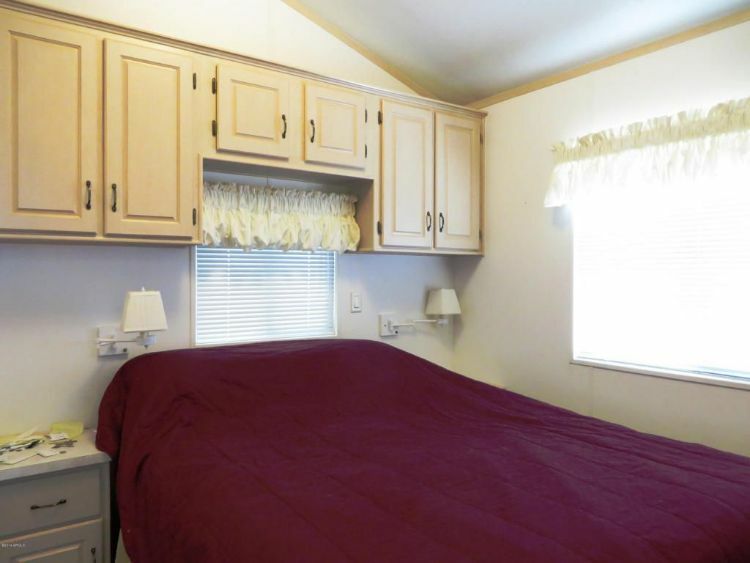 You'll feel right at home in the master bedroom with its queen bed and built-in dresser drawers. 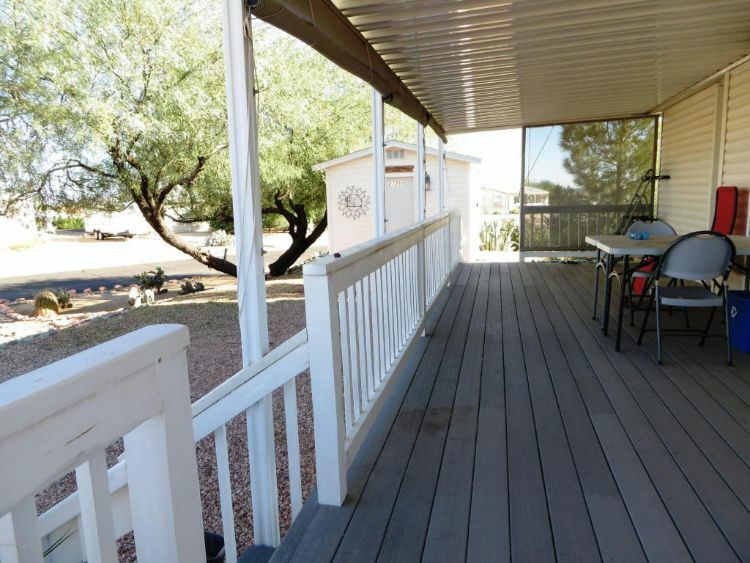 Share this beautiful Arizona park model with your friends on Facebook and Twitter to see more awesome vacation homes. Don't forget to like our Park Model World Facebook page!